Africa and Europe are growing ever closer together as a result of globalisation and digitisation, says German Chancellor Angela Merkel in her new podcast. From Wednesday she will travel to Senegal, Ghana and Nigeria “to talk not only about classical development cooperation, but above all about the possibilities of opening up an economic perspective”. This perspective is crucial for most African countries, “because there are many young people there who need training and jobs,” says the Chancellor. Senegal, Ghana and Nigeria are democratically governed. 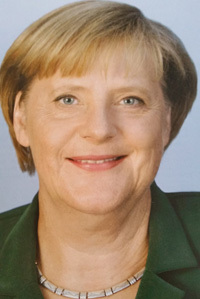 Nevertheless, they face great challenges, but they are very much involved in solving regional conflicts, Merkel says. That is why she believes “that we should give particular support here when it comes to economic prospects”. The Chancellor will be accompanied on the trip by a business delegation. The African countries could be a good future market for the German economy, says Merkel. It is important that the investment conditions are as reliable as possible. It is equally important to ensure that business representatives in Germany seize their opportunities on the African market. The Chancellor also wants to discuss the topic of illegal migration. “Africa has many conflicts”, some of the people fled under very difficult conditions. Opinion: Otiko Afisa Djaba Is Still My Shero! By Kwame Okoampa-Ahoofe, Jr., Ph.D.